The apartment was created when an historic building (the Hotel des Alpes, built around 1800) was renovated in 2004 and converted into 8 luxury standard apartments. Apartment E is one of the best of our smaller apartments, and is ideal for 2 couples or one family. If you are a group of 12 -14, it's possible to book apartment E and apartment H (on the 2 floors above) together and have 6 ensuite bedrooms in total, or if you're a group of 8-9 you can book apartments E and D which are right next door to each other. This apartment is on the main floor, with entrance straight off the lobby. The ground floor is all open plan, with two comfortable sofas, a dining table, and a sleek new kitchen (installed in 2016) with all the equipment you could need for self-catering. There's also a WC on this level. At the front is a huge balcony to relax on (and people-watch!) Upstairs are the two bedrooms: one is a double, with a balcony, and the other is a twin. There are two bathrooms - one shower room, one bathroom with WC, and an additional WC. PLEASE NOTE: Residence des Alpes does not have secure storage for mountain (or road) bikes and therefore we are not able to take booking for biking groups. We are part of the superb Multipass offer, which means that our guests are able to use some leisure facilities in the whole of the Portes du Soleil for just €2 per person per day (see our Summer Page). Michael, Sept 2017 "Family of four (2 adults, 2 children 7 and 3 yrs old) has a perfect week. Great location, lovely flat, professional and friendly communication with Rachel and her team and we are already looking at returning next year!" 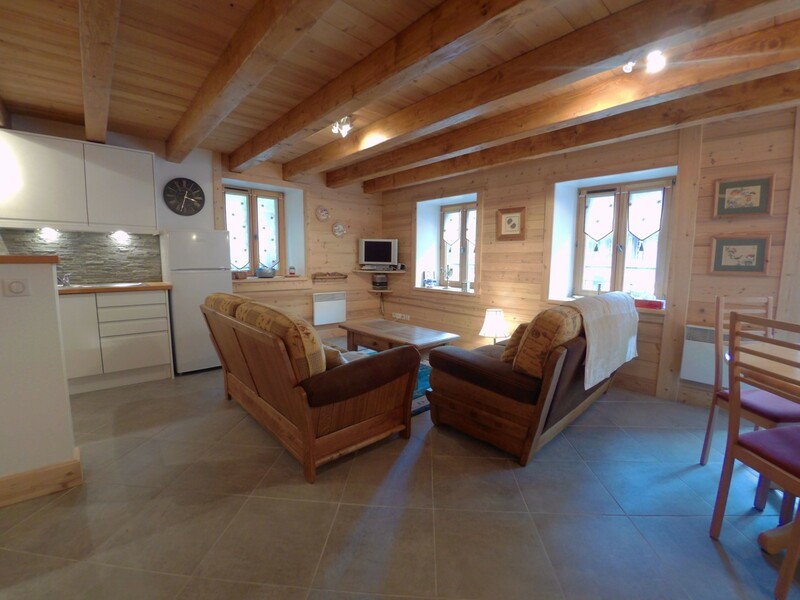 Luke, Aug 2017: "Stayed here in the middle of summer and couldn't have asked for a better chalet, clean, well equipped and slap bang in the centre. Great place to stay." ***SPECIAL OFFERS*** 9 - 16 Feb still available and reduced by 20% (€1440 instead of €1800).